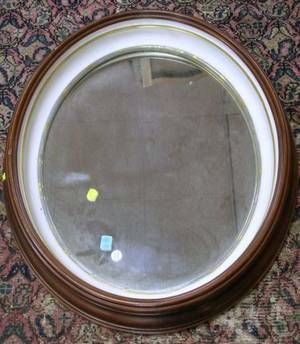 Queen Anne style, with two part mirror glass - 48 1/4"H x 18 3/4"W. .
Parcel Gilt and Mahogany Veneer Mirror and a Victorian Oval Walnut Framed Mirror. 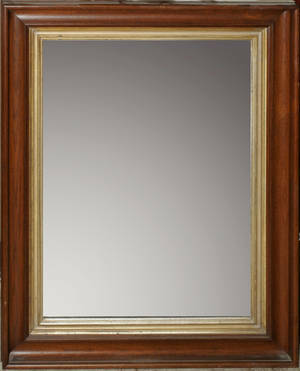 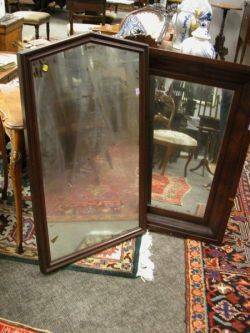 Late Victorian Walnut Framed Mirror and a Mahogany Veneer Ogee Mirror. 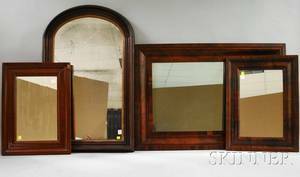 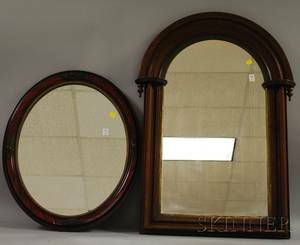 Three Mahogany Veneer Ogee Framed Mirrors and a Victorian Arch-top Walnut Framed Mirror. 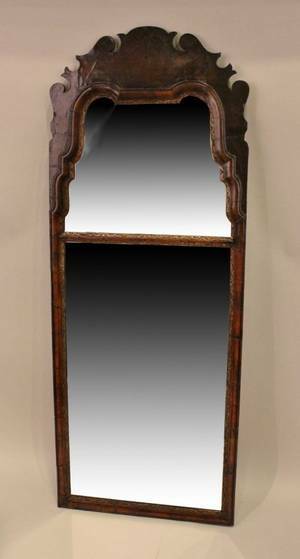 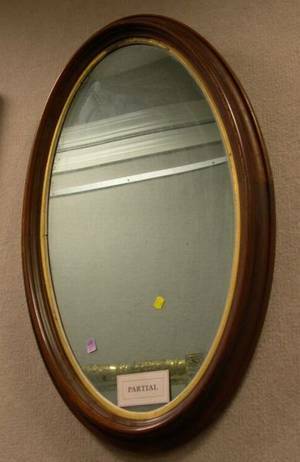 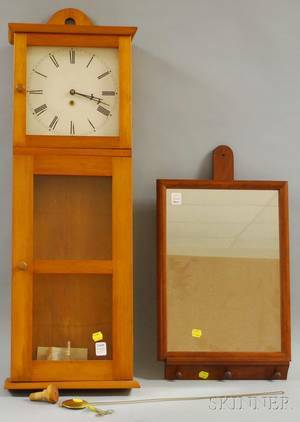 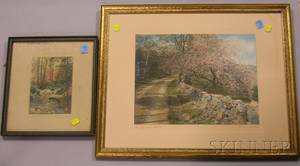 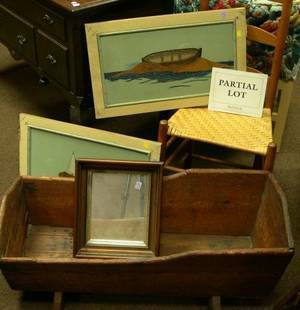 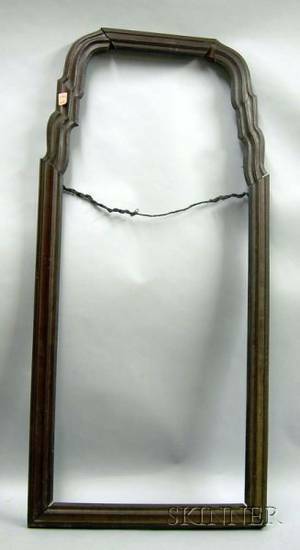 011404: VICTORIAN WALNUT FRAMED MIRROR, H 34", W 26"